Bali is a true spiritual experience. Much more than just beaches and surf breaks; temples and jungles. Venture beyond the hotspots and you will find moments of calm hidden amongst heavily developed beach fronts. Opportunities to unwind in the serene peace of one of many luxury spas dotted around the island. Each offers its own unique setting, plus an array of treatments that will relax the mind whilst soothing the body. Couple your spa retreat with a stay in one of Asia Villa’s beautiful properties, and you may just have the most blissfully holistic getaway you have ever experienced. On the southern tip, not far from Kuta, this is the perfect way to unwind on arrival at the island. The award-winning spa has induvial treatment huts set into the limestone cliffs up above the coastline. With views straight out to see, from deep within the canopies of the surrounding forest, they offer a secret sanctuary hidden away from the rest of the world. Their Himalayan Crystal Salt Pool and Infrared Sauna are two of their modern-age luxuries. The spa only uses ethically sourced, non-GMO treatment products; free from any nasties so you know you are saving the planet as well as your soul when you visit. 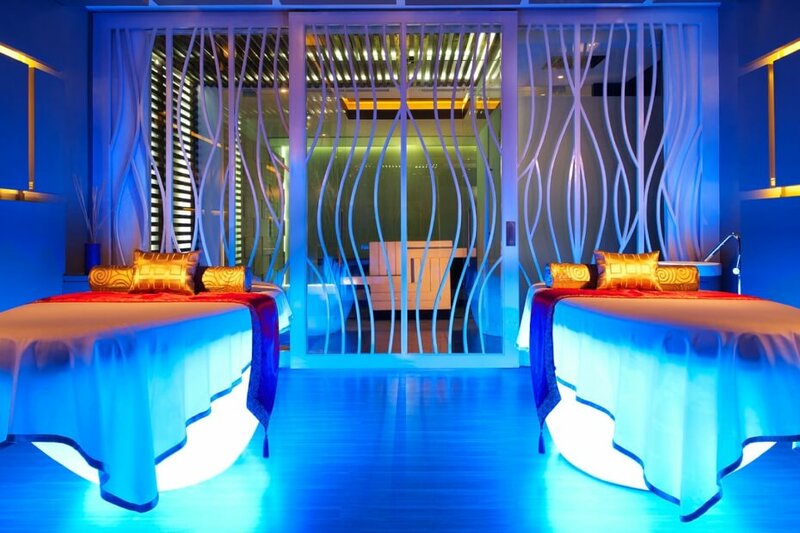 A 60-minute massage costs from IDR 1,150,000. Another Ubud destination, Maya is hidden in the valleys with a more minimalist experience than that offered at Tjampuhan. For those looking to balance their senses in purer surrounds, this could be for you. Delightfully uncomplicated and beautifully set into its natural environment, the spa offers a number of special packages for guests also looking to spend time exploring Ubud. The Maya discovery package includes a tour of the surrounding terraces as well as a 60-minute massage plus lunch or dinner from their acclaimed restaurant. A traditional Balinese massage will cost IDR 897,000 for 60-minutes and the spa is accessible from the main village of Ubud via free shuttle. Located in the heart of Kuta, the spa is easily accessible from town and is an oasis of calm, away from the hustle of the surrounding streets. 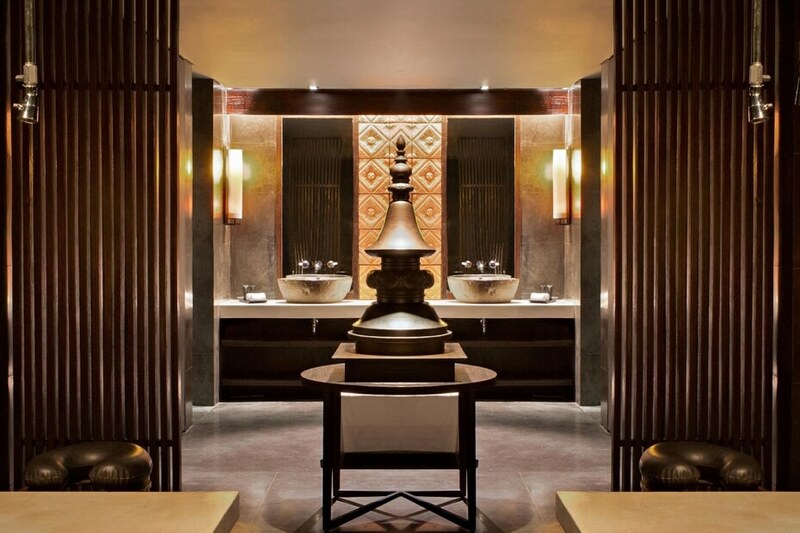 As you enter, you are immediately greeted by the intimate surrounds of Bamboo Spa, which lives up to its name with rooms decorated with a soft-wood finish giving way to a naturally warming and relaxed environment. There are a variety of packages available with a number specials available through their website that are worth a look – afternoon tea alongside massages, facial treatments and body wraps at USD $125 offers great value for those in need of the works. This legendary Ubud spa has been in operation since 1928 and maintains much of the mystic vibe of its regal past. Set up high amongst the rice terraces, expect breathtaking views and unbridled luxury across their rooms, restaurant and treatment rooms. There are several semi-exposed treatment hubs each sitting within the cavernous surrounds that blend age-old construction with modern-day treatment techniques. A traditional Balinese massage costs IDR 340,000 for 1-hour or select any one of the Tjampuhuan specials – such as their reflexology massage – that will set you back IDR 200,000 for a 30-minute treatment. The spa is easily accessible from Ubud. 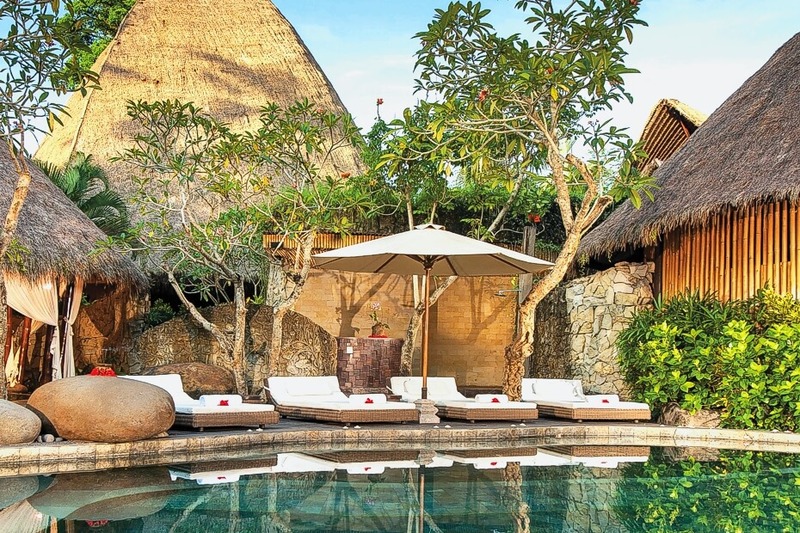 This wellness retreat offers a mystic insight into Balinese culture and has a deeply spiritual feel, with warm lighting to illuminate the thatched rooves that sit abreast the Aying River. There is a natural harmony here you won’t find elsewhere. The spa offers a range of signature retreats that focus on core spiritual values of positive transformation and physical restoration. Packages start with 3-night stays (extending up to 21) and can cost from IDR 31,610,00 for single occupancy, with lodgings, gourmet meals and a host of massage and energy treatments - plus spiritual blessings – all included. 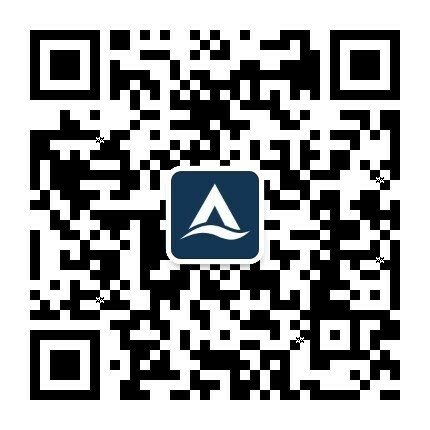 Situated in the middle of the island to the north of Denpasar, you can organize airport transfers directly with the spa as part of your package. Attracting a younger crowd, Away Spa offers a new level of relaxation in much more modern surrounds than you may be used to. Mood lighting – but of the neon variety – awaits a hip crowd looking for seafront yoga and natural juices from the ‘Fuel’ Bar. 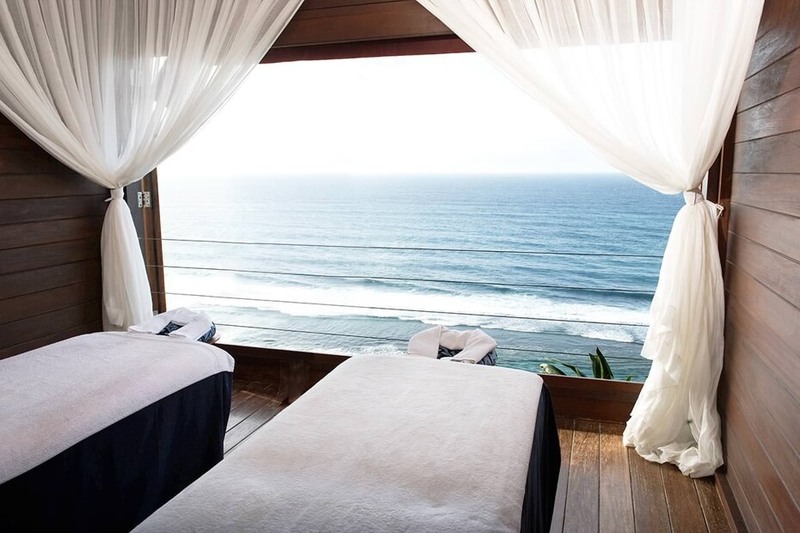 Book one of their beach-front cabanas and indulge in private guided meditation to the sound of the waves, or choose one of their specialist packages that include 2-hour massage treatments starting at IDR 1,500,000. 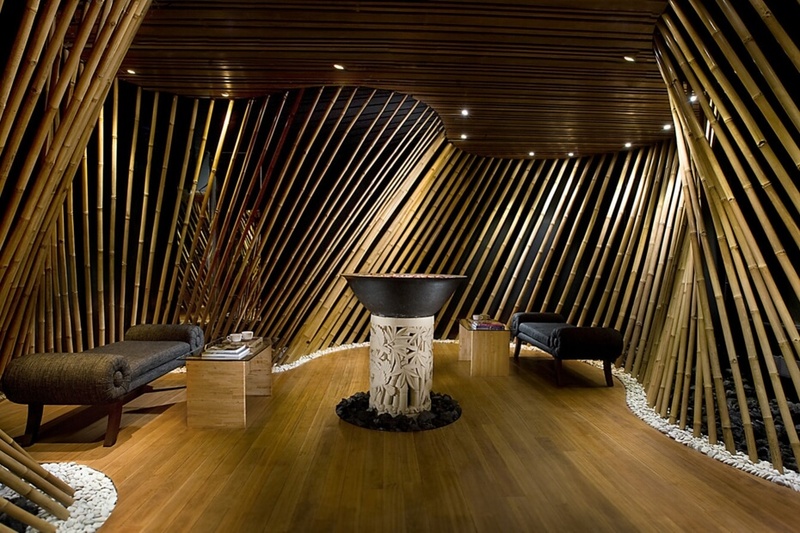 Found in Seminyak – just a skip from the airport – the spa is easily reachable by taxi or transfer. A tranquil setting behind a black-sand volcanic beach – perhaps the most dramatic backdrop of any of the spas in our list. The interior has a distinctly volcanic feel as well with stone walls offset by candlelit pools and mosaics. This is a true center of wellbeing for anyone in need of rebalancing their soul. Their specialist programs offer 3-night stays full of vitality including wellness consultations, a range of treatments as well as mind-body exercises for a true holistic overhaul. The spa is easily reached from Tanah Lot, or an hour’s drive from the airport, so why not indulge in a local massage for IDR 1,510,000. 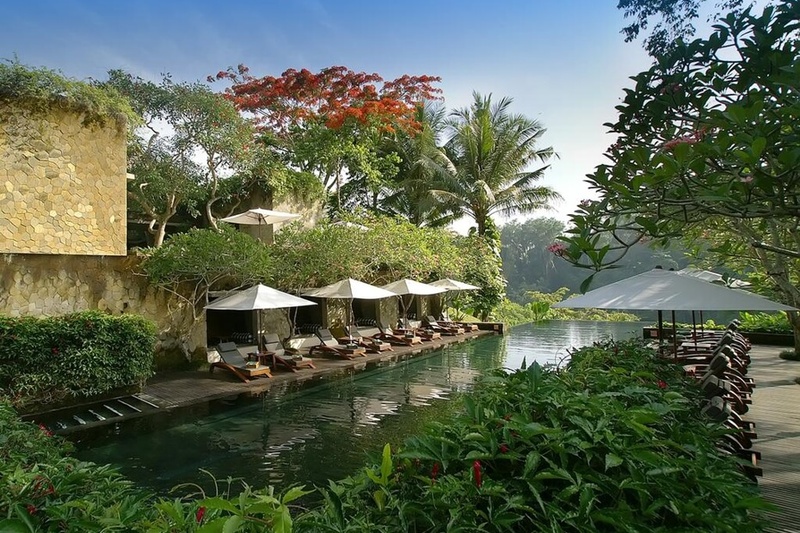 A 5-star jungle hideaway on a river lagoon - the location could not be more idyllic. A holy place amongst the locals, the area is believed to harbor its own mythical healing powers - the spa may leave you believing the same. With background noise of waterfalls and wildlife, this is the perfect peaceful escape. 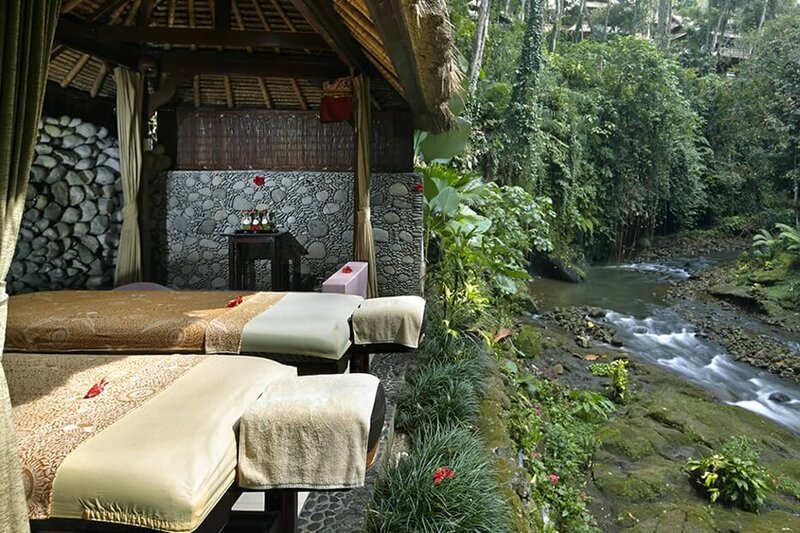 The natural springs offer their own redemptive qualities and the spa boasts an array of services including body scrubs right on the river banks, plus traditional Balinese massage therapies starting at IDR 650,000, lasting 1-hour. If searching for solitude, there is no better place to look than the dramatic surrounds of this Indonesian island. With such a variety of settings, Bali offers unique experiences that will inspire even the most seasoned of spa visitors. Base yourself at a one of Asia Villas luxurious properties before heading off into the jungled habitats of the island; is there any better respite for tired bodies and minds. The ideal path to holistic wellness. If you’re planning on a trip to this remote Indonesian paradise, step up the luxury and indulge in one of the local treatments to maximize your relaxation levels.